Worldwide we are one of the biggest and most renowned shops for Masters of the Universe items. Our warehouse is always stocked full of figures, vehicles and accessories from all series and our team is made up exclusively of professional collectors. We therefore know exactly what matters to the buyers of Masters products. We attach great importance to service and quality, as well as lightning-quick shipping! From the outset, we only offer goods that are in a very good collector's condition and we always package everything with lots of padding for transporting. 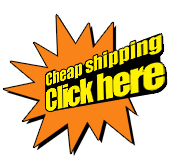 Products are generally sent by secure shipping in order to avoid problems. Orders are normally prepared for shipping within one day after payment was recieved. We are available at any time to answer any queries or special requests. The Masters-Toys team wishes you a fun shopping experience.